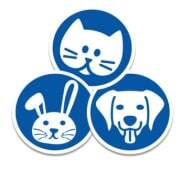 Join our clinic team and be part of our mission to help animals by providing low-cost spay/neuter and wellness exams! As a volunteer, you'll get to work alongside our vet techs and veterinarian, and assist with basic but essential tasks such as: kennel cleaning, sanitizing surgical equipment, making surgery packs, laundry, and monitoring animals post-surgery. Attend one on-site training to get started! The Heaven on Earth Animal Clinic is located INSIDE the West Valley Animal Shelter. Enter through the main doors and you'll see our clinic on the opposite side of the hallway, just past reception. You must be at least 16 years of age to volunteer at our clinic. Volunteers under 18 *must* bring a signed Minor Waiver with them to training. We ask that our volunteers donate at least 25 hours of time over the course of 6 months.